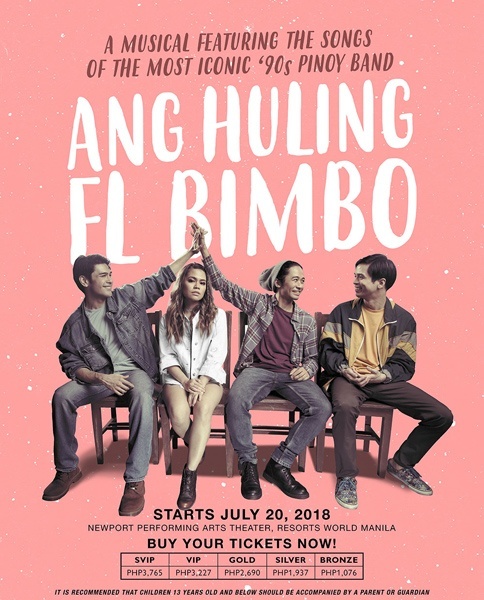 We've all been waiting for Ang Huling El Bimbo! 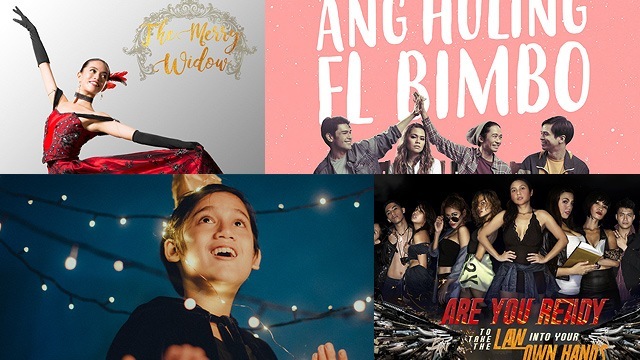 (SPOT.ph) The month of June took us on a whirlwind of emotions as all-original Filipino plays and musicals filled our calendars. We take a breather this month with nostalgic shows—from a '90s throwback to a well-loved children's story—that will warm our hearts. 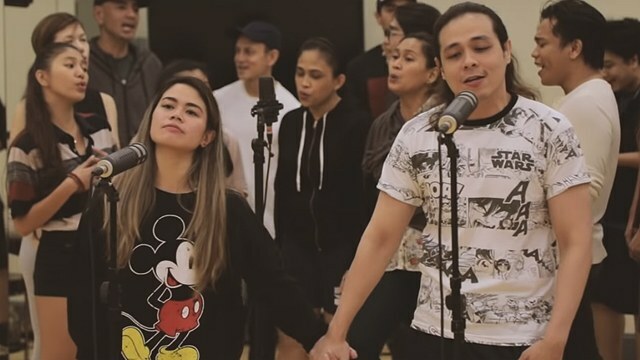 Writer Dingdong Novenario and director Dexter Santos attempt to turn Newport Performing Arts Theater into a major '90s throwback with a musical told through the songs of one of the Philippines' most influential bands, the Eraserheads. Ang Huling El Bimbo follows the story of three friends (played by OJ Mariano, Gian Magdangal, and Jon Santos) who drift apart in adulthood but eventually reunite to confront their haunted past. Prepare for a dose of nostalgia. Sipat Lawin Ensemble asks this relevant question in today's tumultuous political and social landscape. Are You Ready to Take the Law into Your Own Hands? tells the story of Filipino popstar Gracielle Valderrama who is kidnapped by criminals outside a concert venue. With authorities unconvinced that the crime really happened, her life is in the hands of one shy fan-girl (and sole witness), Celina Malabayabas, who organizes a group of vigilantes to save the popstar. 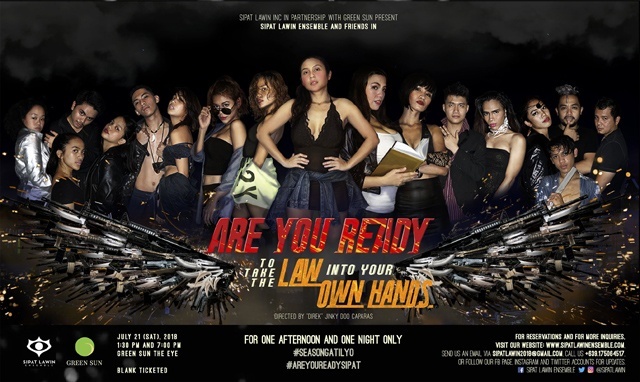 Are You Ready to Take the Law into Your Own Hands? is on July 21, 1:30 p.m. and 7 p.m. at Green Sun Hotel, 2285 Chino Roces Avenue Extension, Makati City. All performances and workshops by Sipat Lawin Ensemble are blank-ticketed. For more information, visit Sipat Lawin Ensemble's website. Martin Buczko, a respected ballet dancer from Berlin, flies to the Philippines to perform with the artists of Philippine Ballet Theater in the heartwarming ballet adaptation of the 1905 operetta The Merry Widow. It tells the story of a rich widow whose concerned countrymen attempt to help her keep her family's estate by finding her a husband. 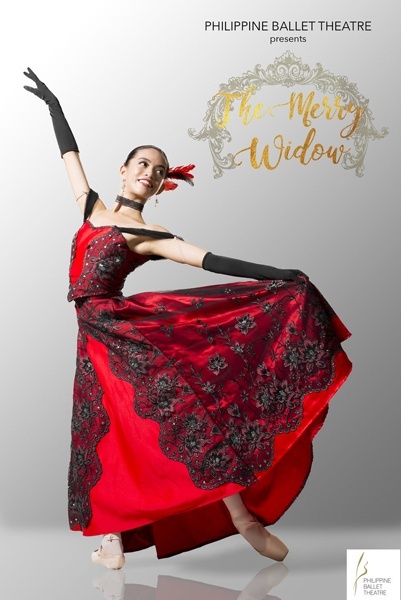 The Merry Widow is on July 28 and 29, 3 p.m. and 8 p.m. at Tanghalang Nicanor Abelardo, Cultural Center of the Philippines, Roxas Boulevard, Pasay City. Tickets, priced from P100 to P2,000, are available through Ticketworld. 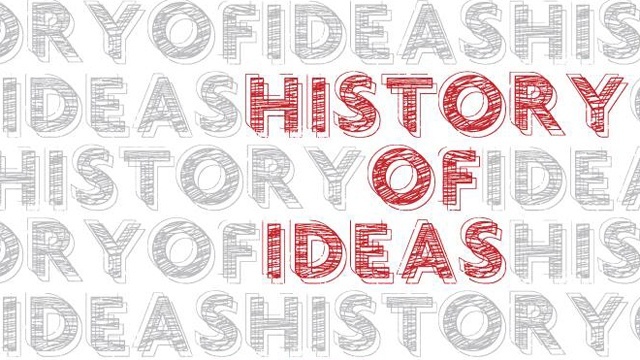 Originally written by Caryl Churchill, Mad Forest attempts to make sense of ordinary people's experiences during the 1989 Romanian Revolution—a time of violent civil unrest brought on by 42-year Communist rule and the dictatorial regime of Nicolae Ceau?escu. Palanca Award-winning writer Guelan Luarca pens the Filipino adaptation, and we're expecting a lot of #shade about the current state of affairs. 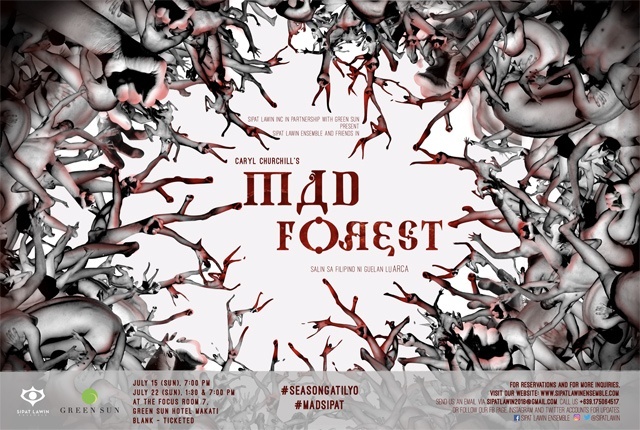 Mad Forest is on July 15 and 22 at Green Sun Hotel, 2285 Chino Roces Avenue Extension, Makati City. All performances and workshops by Sipat Lawin Ensemble are blank-ticketed. For more information, visit Sipat Lawin Ensemble's website. 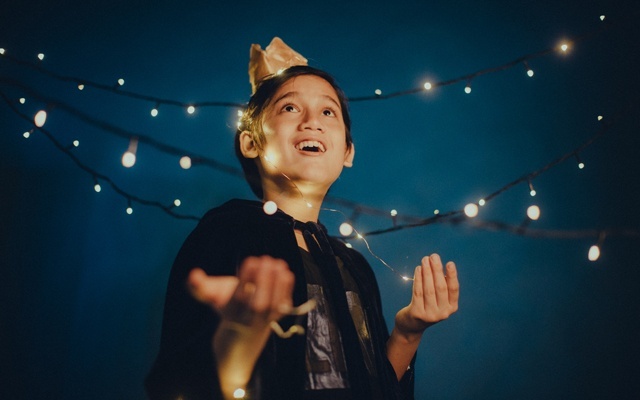 After a couple of successful runs in September 2017 and June 2018, The Little Prince: An Interactive Play returns to the stage to charm kids, kids-at-heart, and The Little Prince fans all over the Metro. The musical adaptation features original and heartwarming songs by singer-songwriter Pipo Lina. It also presents an interesting take on breaking the fourth wall as audience members join scenes onstage to create a unique experience of the much-loved book. The Little Prince: An Interactive Play is on July 22, 3 p.m. at Johnny B. Good, 3/F Glorietta 3, Makati City. Tickets, priced from P1,000 to P1,300, are available through Eventbrite.